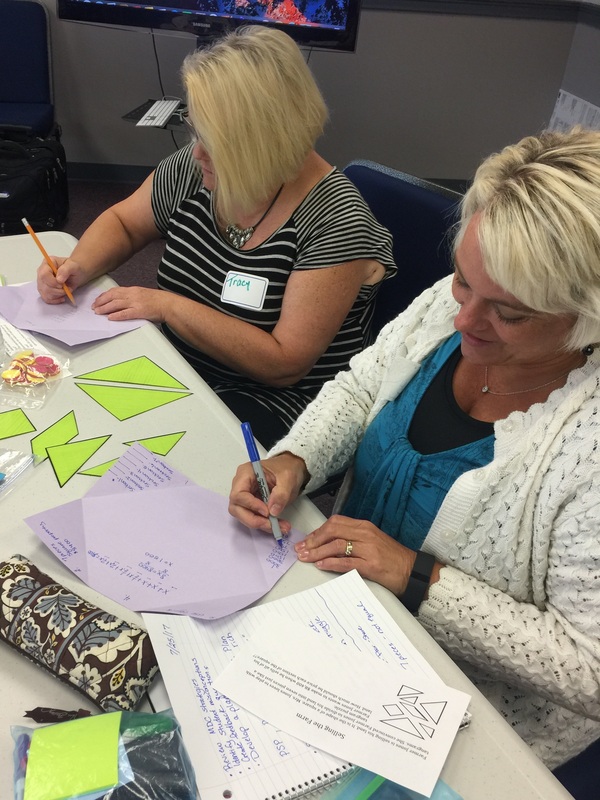 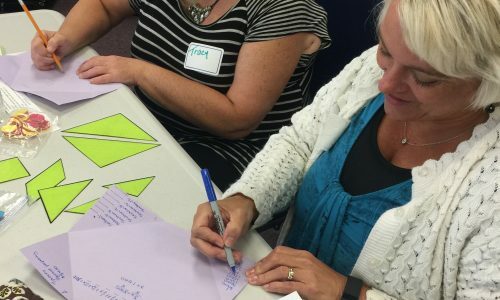 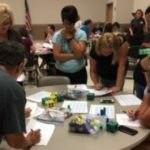 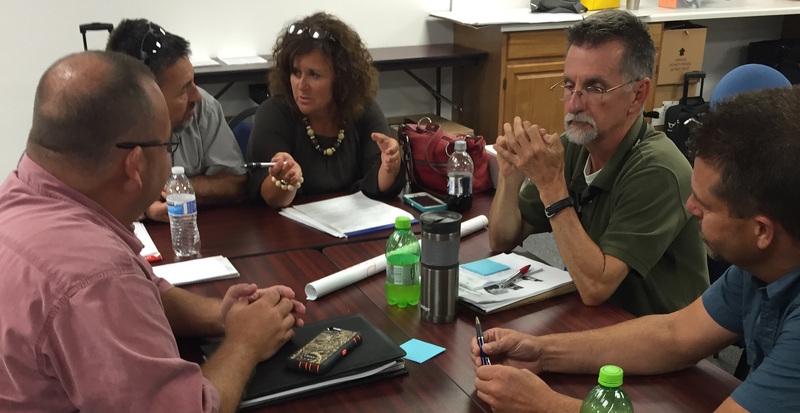 SESC partnered with KASA to offer Certified Evaluation Trainings in Corbin on August 24-25. 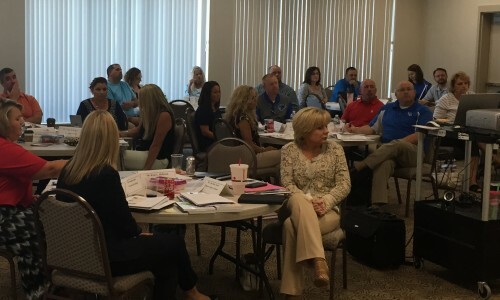 Large groups of administrators from across the state attended the trainings led by Rita Muratalla of KASA. 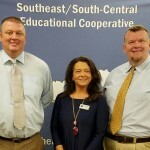 SESC Welcomes New Superintendents At its meeting on August 11, 2016, the SESC Board of Directors welcomed new superintendents Michael Rowe of Lincoln County Schools, Kay Dixon of Barbourville Independent Schools, and Dr. Amon Couch of Williamsburg Independent Schools. 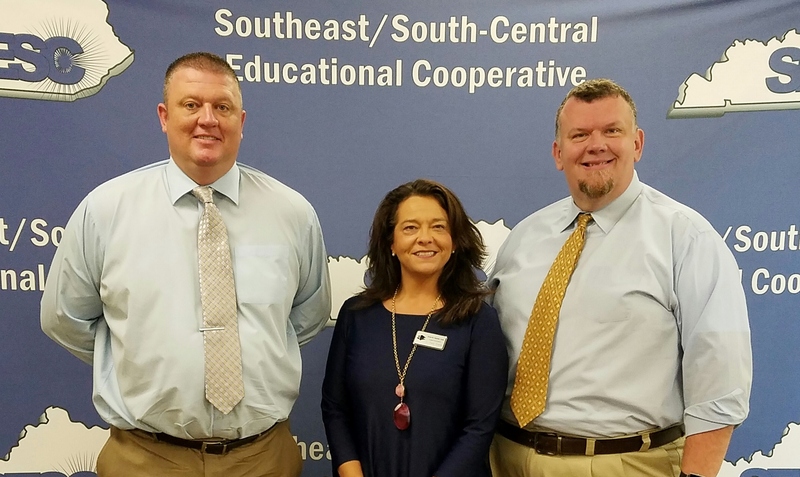 The superintendents will now serve as members of SESC’s decision-making board. PLC Training 3 – The team from Whitley County School District proudly displays work from the “Leading Effective PLCs” training offered by SESC. 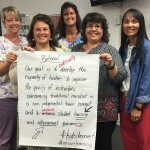 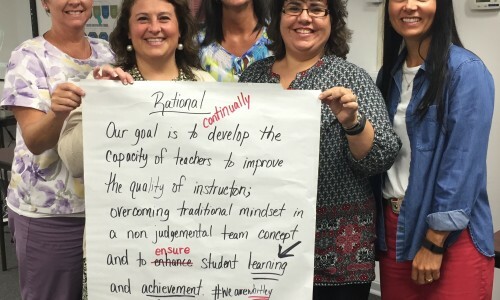 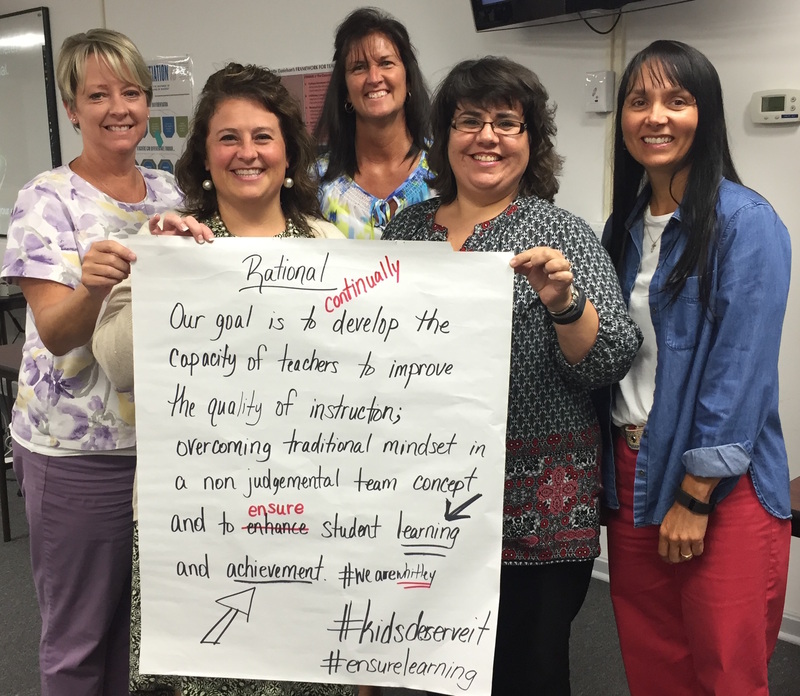 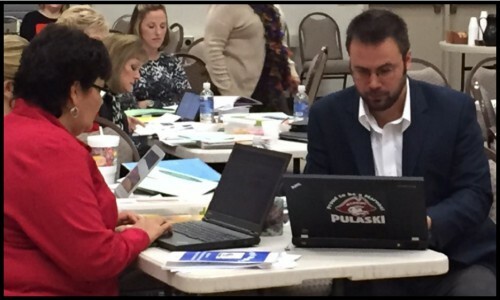 PLC Training 2 – The team from Harlan Independent Schools worked on its PLC plan during the SESC training on August 2, 2016. 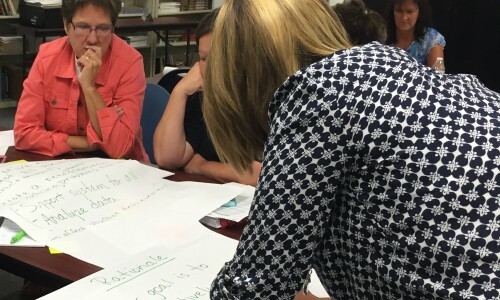 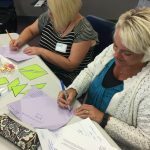 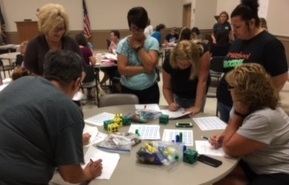 PLC Training – Staff from the Pulaski Area Vocational School worked together during the PLC training provided by SESC on August 2, 2016. 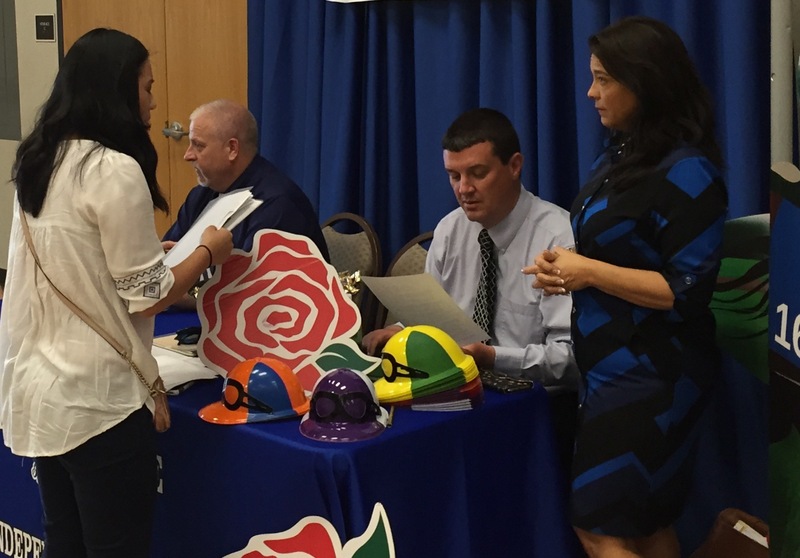 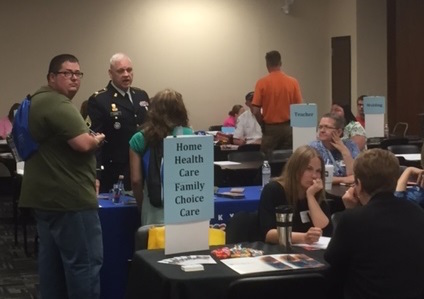 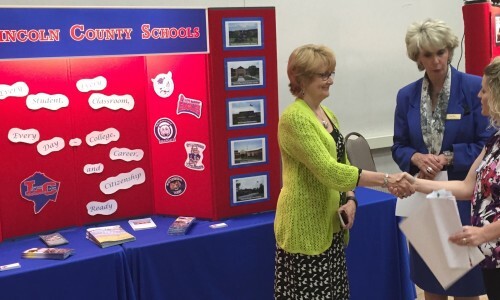 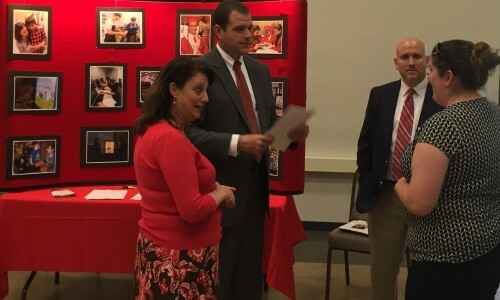 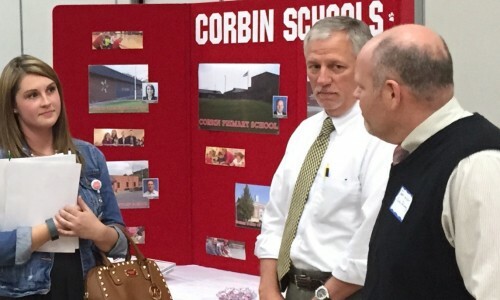 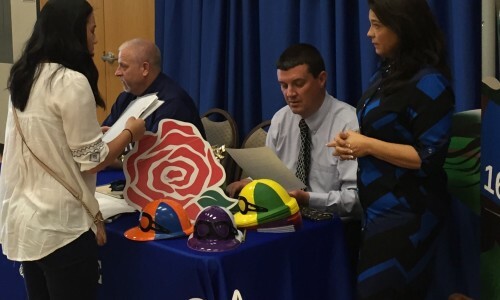 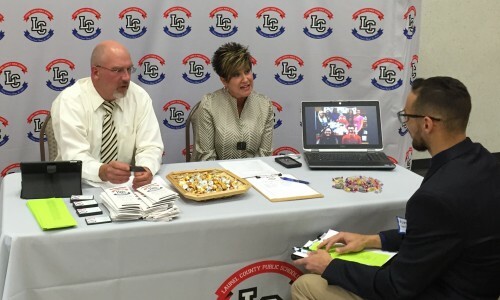 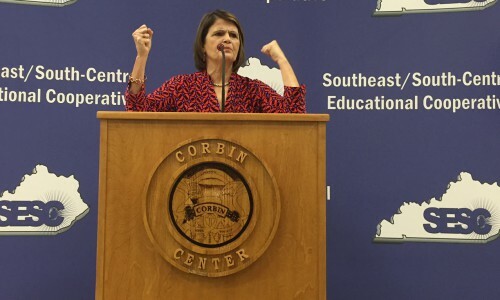 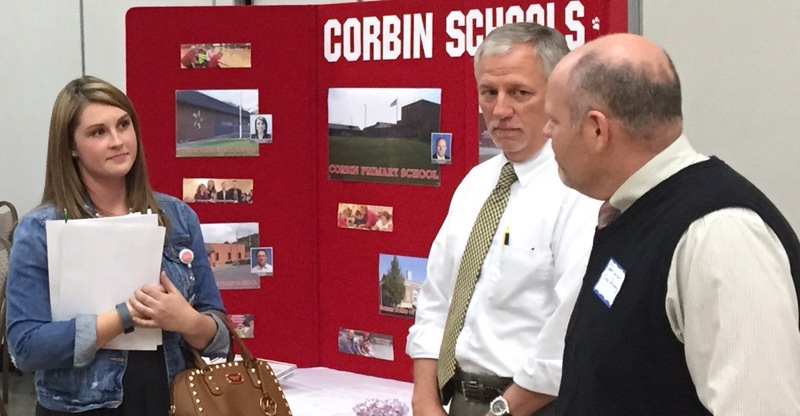 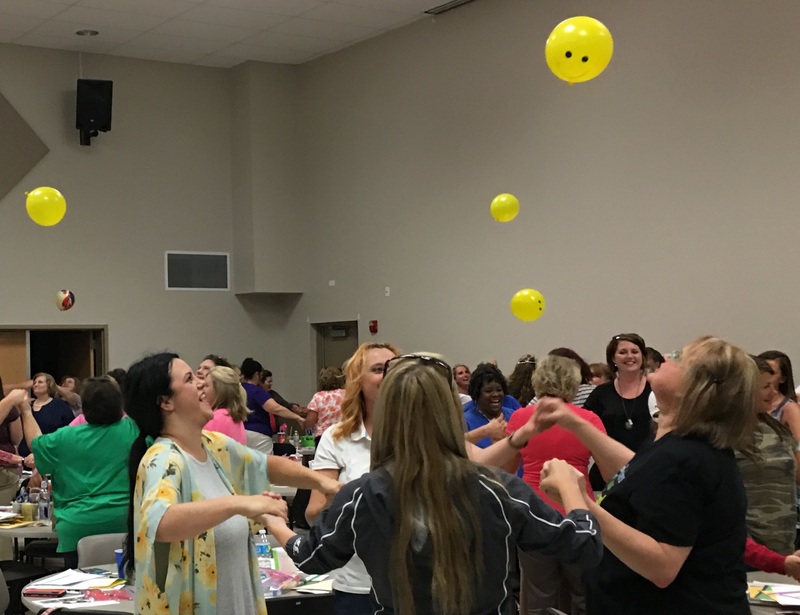 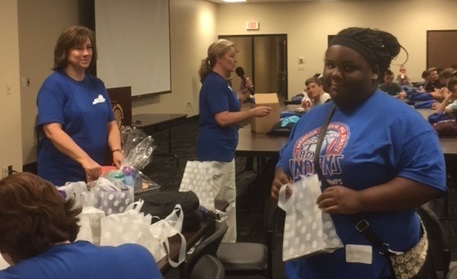 SESC hosted its first New Teacher Job Fair in Corbin on April 26, 2016. 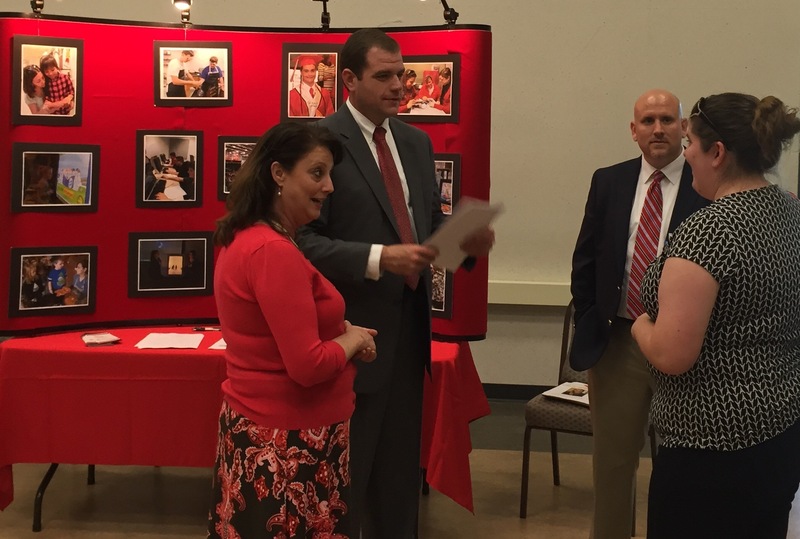 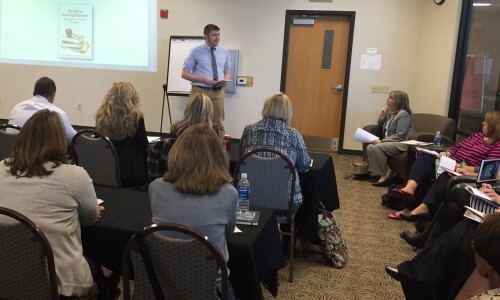 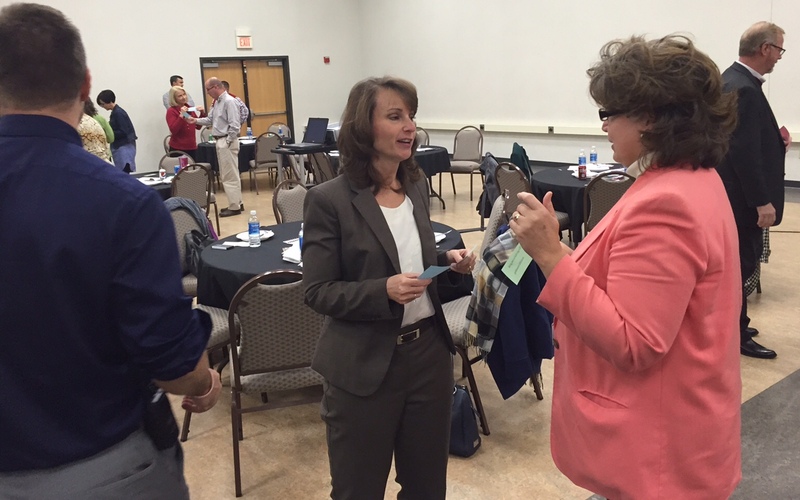 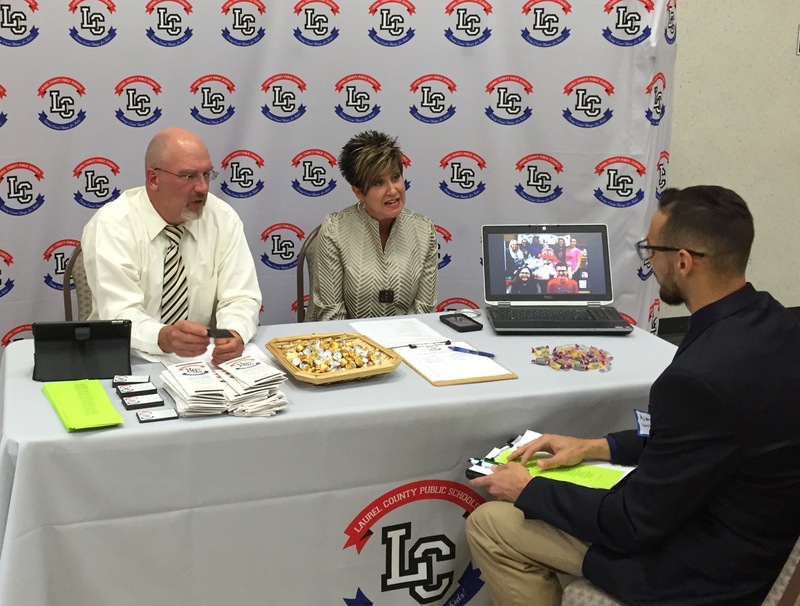 Districts met with prospective teachers in an effort to fill school vacancies for the 2016-17 school year. 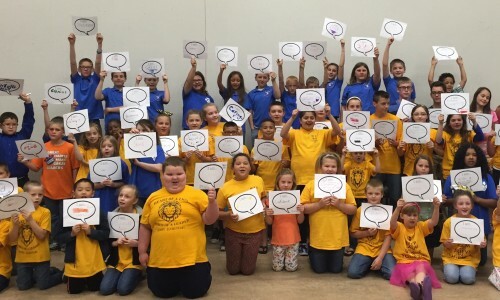 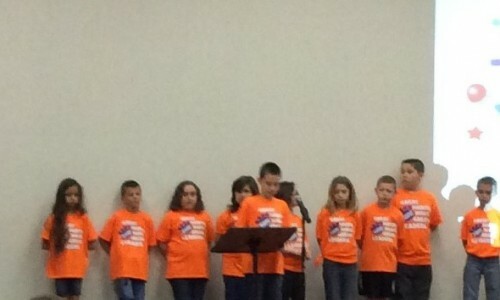 Students from Dewitt Elementary School, Lay Elementary School, Middlesboro Elementary School, and Waynesburg Elementary School attended the second annual Leader In Me Regional Student Showcase in Corbin on April 26, 2016. 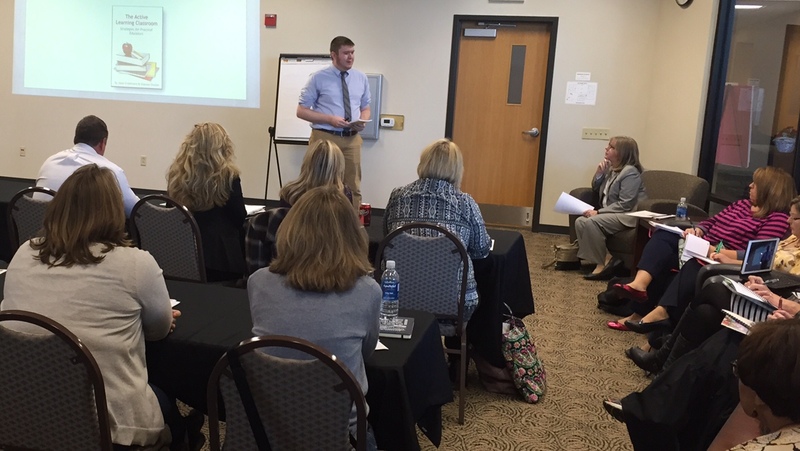 Students gave presentations on LIM activities in their schools and participated in leadership activities led by Jonathan Catherman of Franklin-Covey. 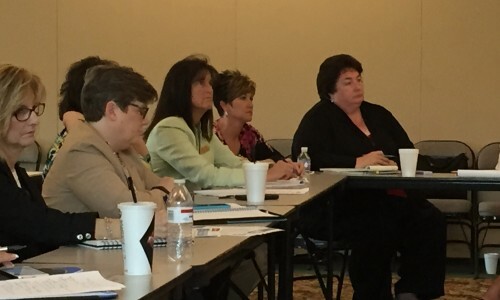 KDE Associate Commissioner Rhonda Sims spoke to the SESC Instructional Supervisor Cadre meeting on April 14, 2016. 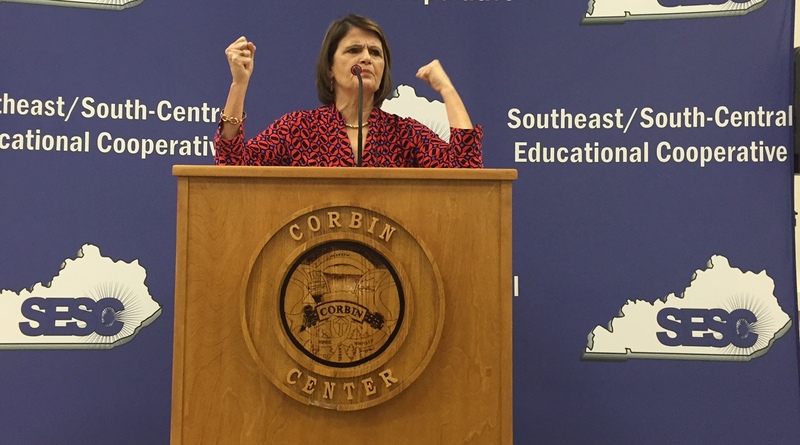 Mrs. Sims addressed issues related to the federal Every Student Succeeds Act and a new accountability system for Kentucky. SESC Instructional Supervisors attend cadre meetings throughout the school year. 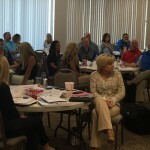 The group hears presentations on current educational issues from state and regional leaders at each meeting. 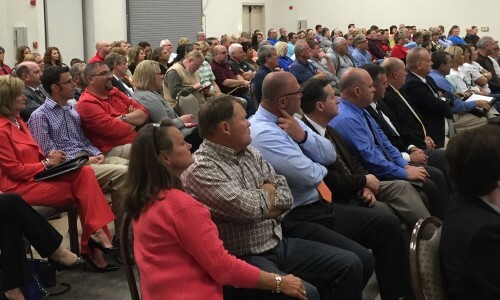 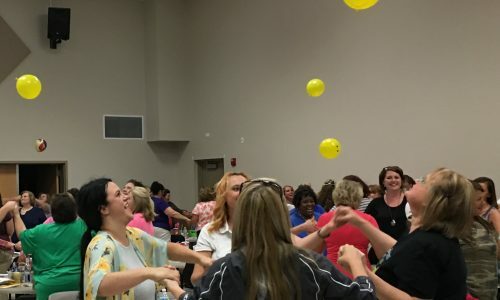 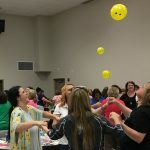 A gathering of more than 200 teachers, administrators, higher education leaders, and community members attended the KDE Town Hall meeting hosted by SESC on April 11, 2016. 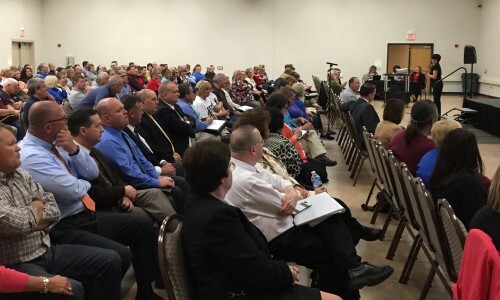 Commissioner Stephen Pruitt addresses the large crowd at the KDE Town Hall Meeting hosted by SESC on April 11, 2016. 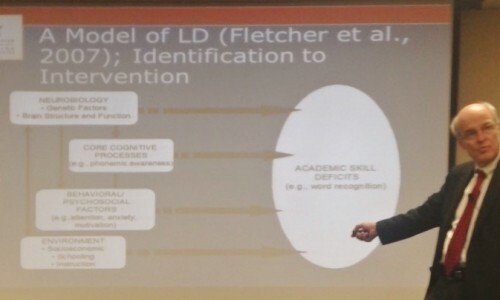 On March 31, 2016, Dr. Jack Fletcher presented to approximately 40 guests on the topic of “Identifying Learning Disabilities in the Context of RtI: A Hybrid Model”. 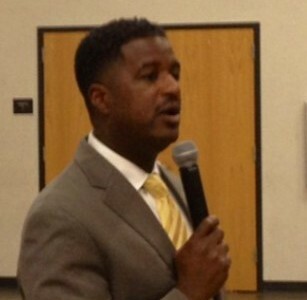 Dr. Fletcher is a Distinguished Professor and Chair of the Psychology Department at the University of Houston. 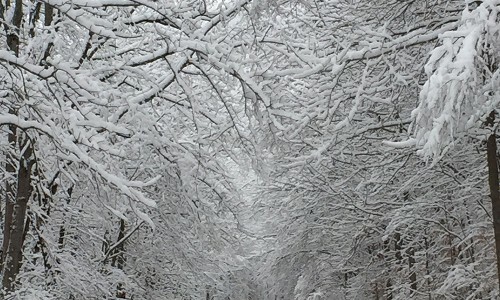 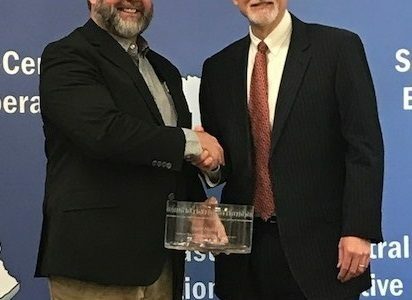 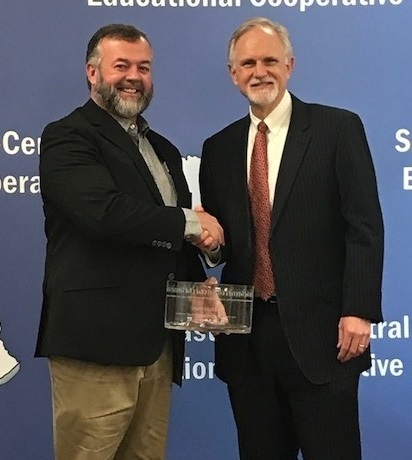 He currently directs a Learning Disability Research Center, has served on several national advisory and study groups, and has written numerous books and papers. 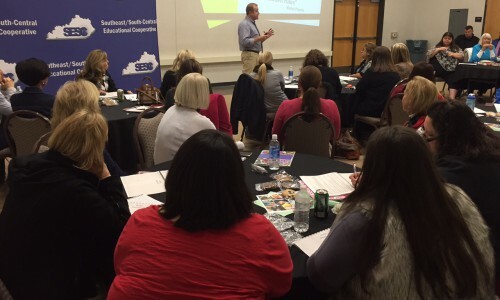 This event was provided by SESC in partnership with CKEC. 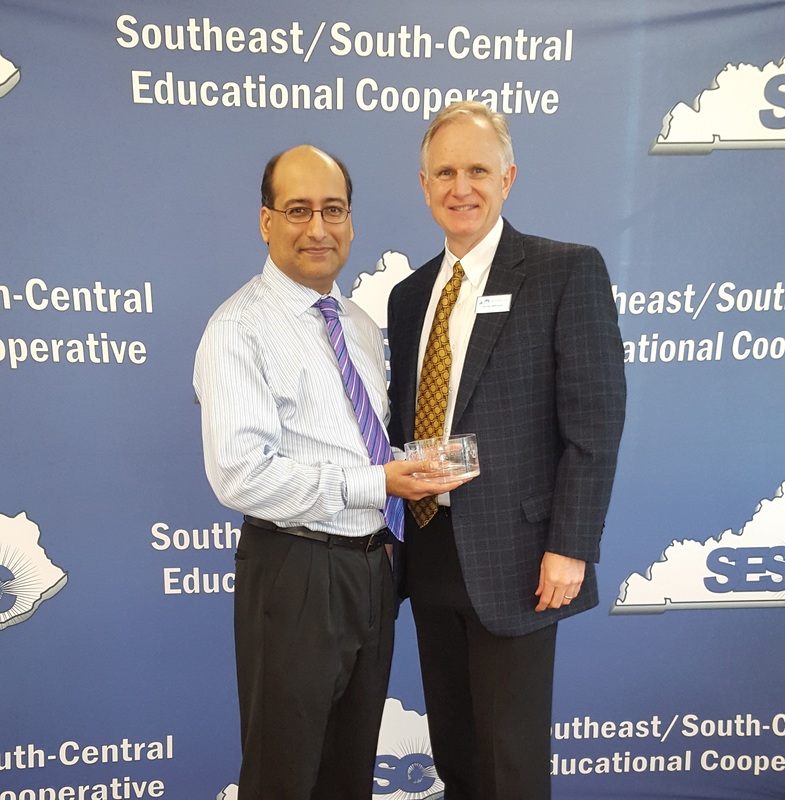 At its December meeting, the SESC Board of Directors recognized KDE Associate Commissioner Hiren Desai for his years of service as a liaison with the cooperative. 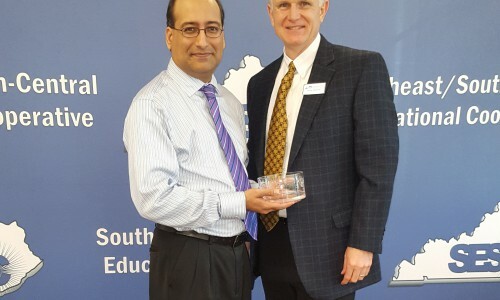 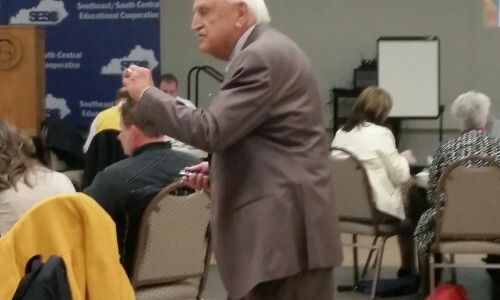 Mr. Desai is taking a position with Fayette County School District. 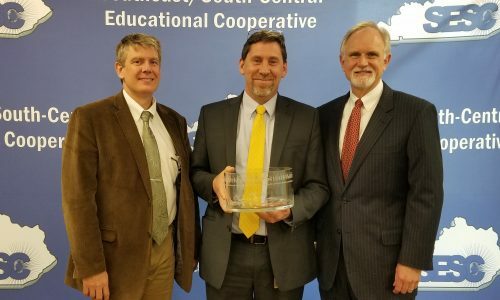 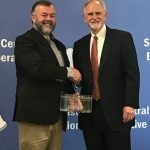 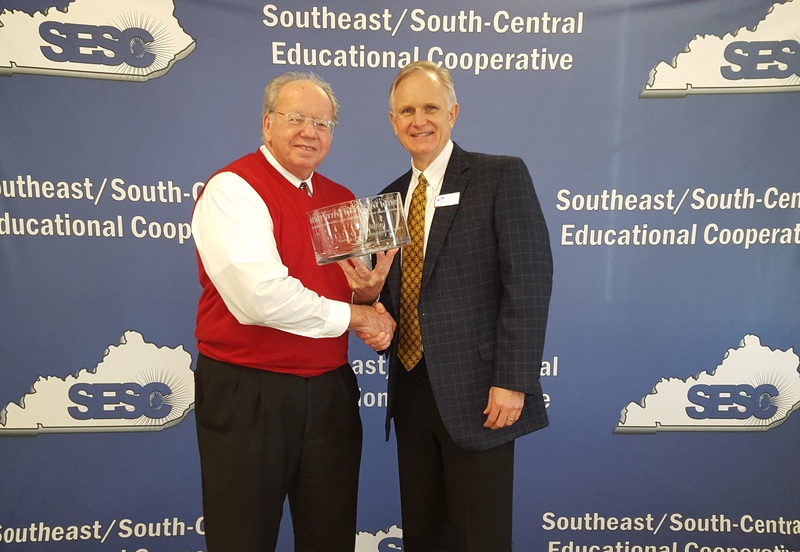 The SESC Board of Directors recognized Board chairman Ed McNeel upon his retirement as superintendent of Corbin Independent School District at its December meeting. 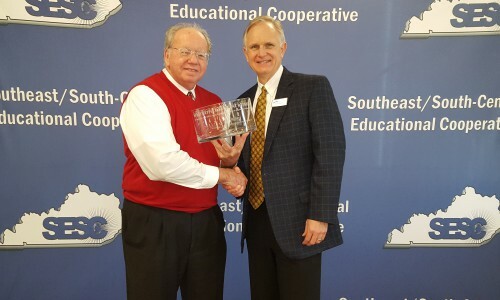 Mr. McNeel has been chairman of SESC’s governing board since July 1, 2013. 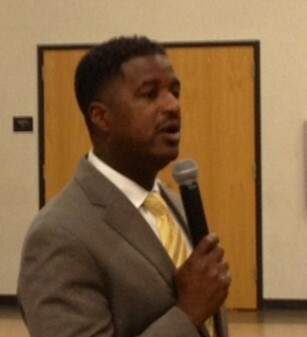 Dr. Anthony Muhammad presents at a SESC regional workshop on school culture. 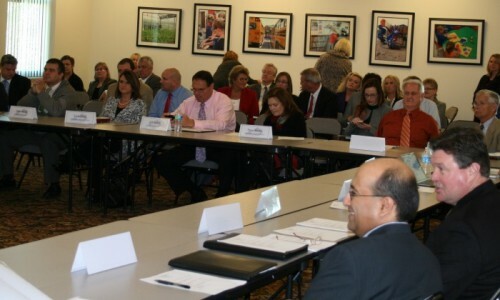 A full house for a meeting of the SESC Board of Directors. 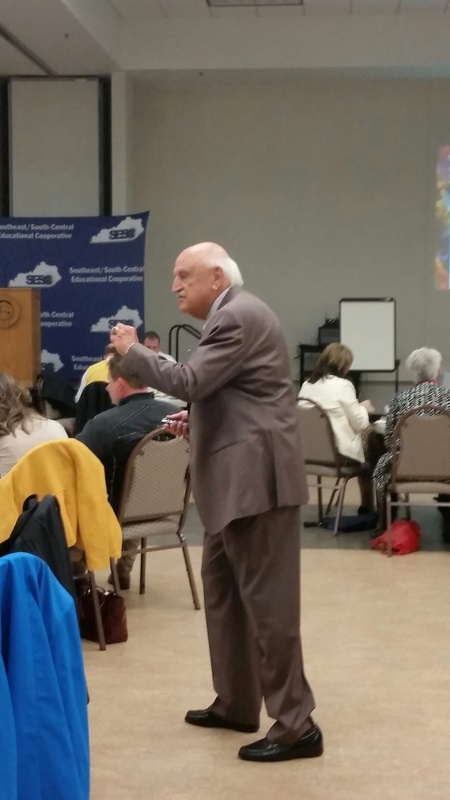 Dr. Robert Barr speaks on poverty issues at a regional workshop. 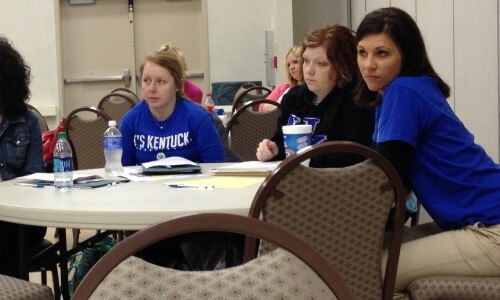 Teachers listen to presenters at a session of SESC’s Beginning Teacher Institute. 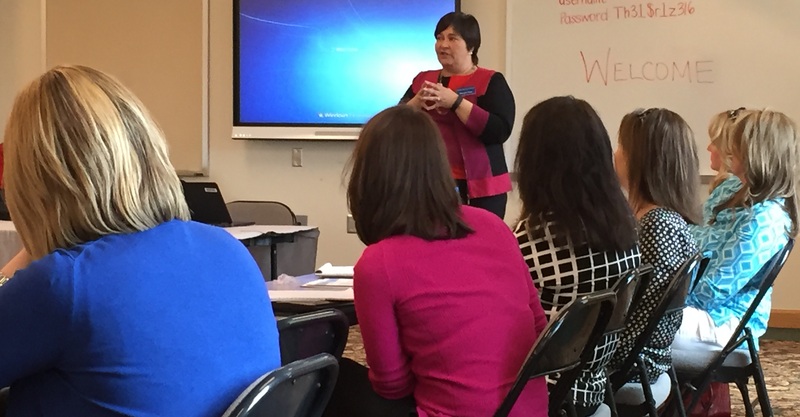 Dr. Shannon Deaton presents on Active Learning at the SESC Poverty Institute. 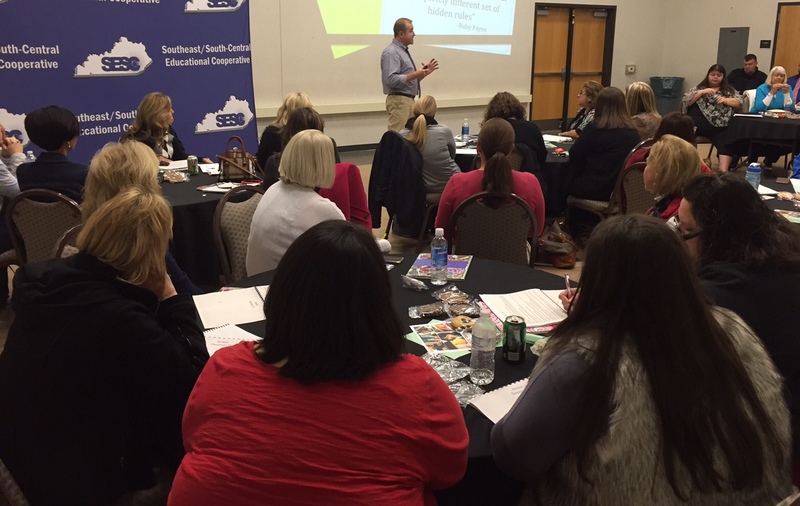 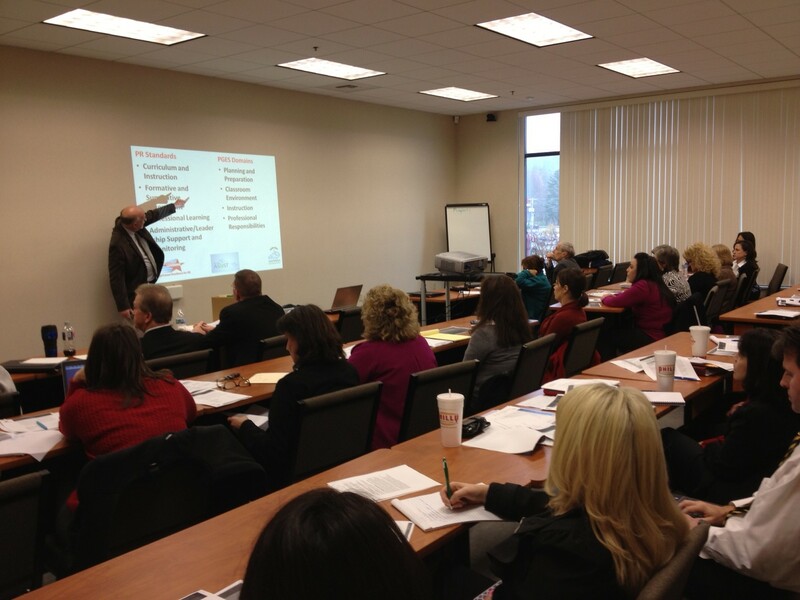 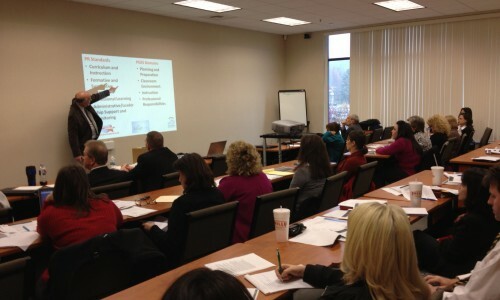 Dr. Tony Maxwell presents to a full room at the SESC Poverty Institute. 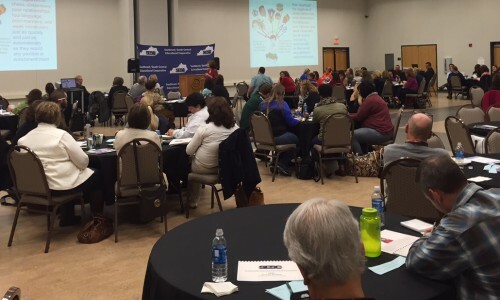 Dr. Kathleen Cooter speaks to a full house at the SESC Poverty Institute. 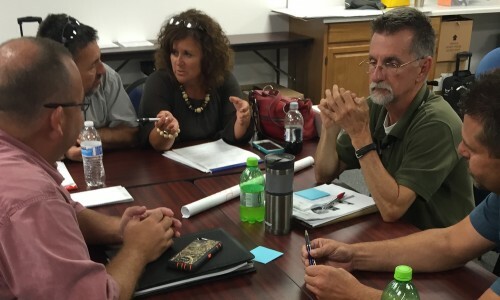 Participants in the SESC Poverty Institute discuss poverty issues during a group activity. 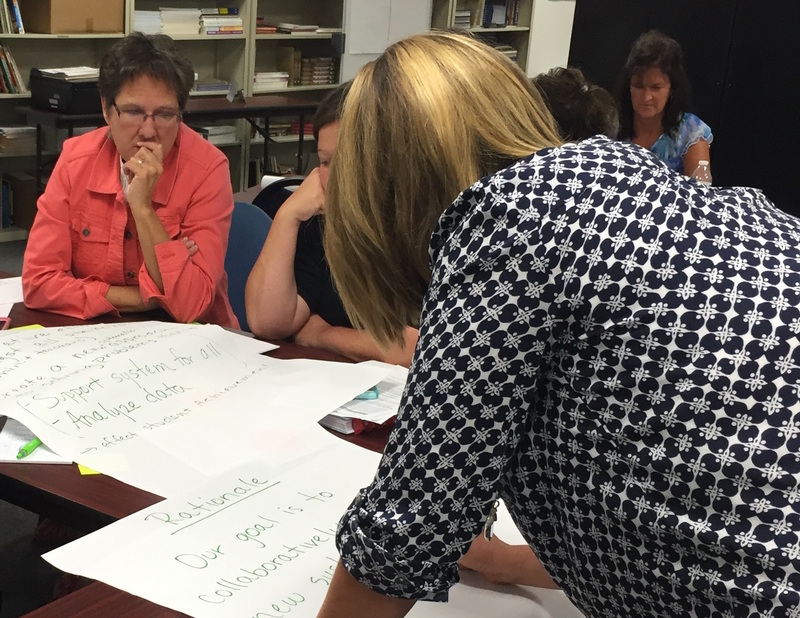 District staff members participate in an IDEA training offered by SESC. 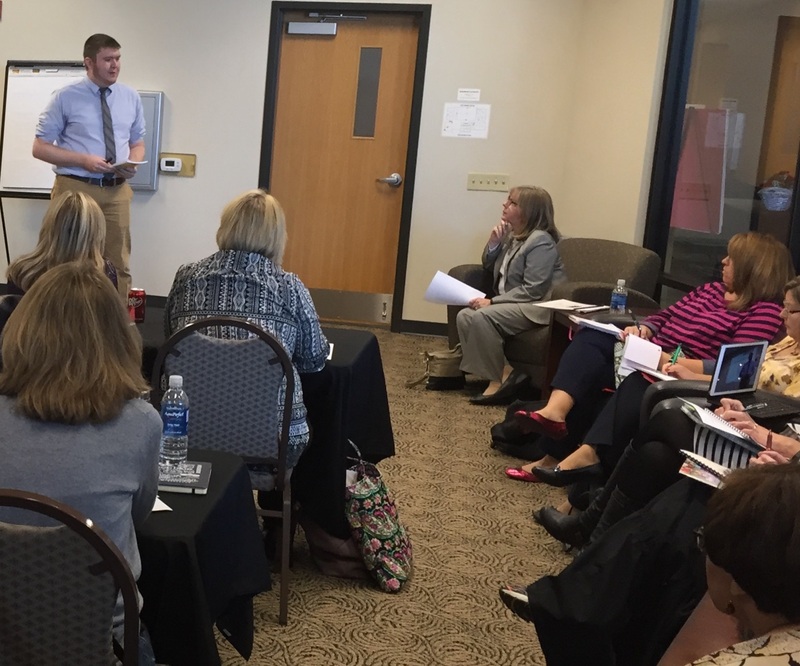 Instructional Supervisors participate in a SESC cadre meeting. 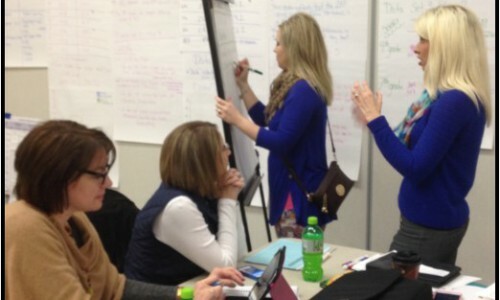 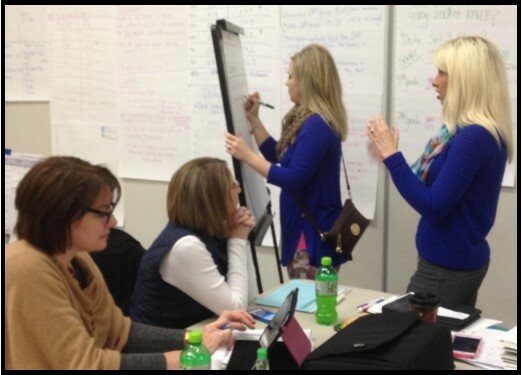 Knox County staff work on data analysis during a Data Retreat. 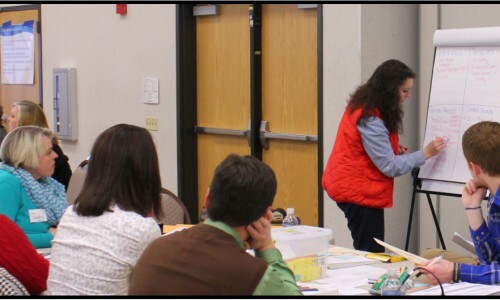 Staff from Middlesboro High School work as a team during a Data Retreat. 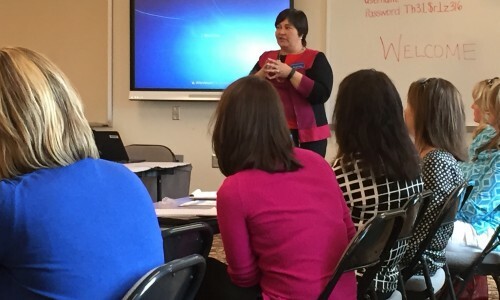 Dr. Kathleen Cooter of Bellarmine University speaks passionately about understanding the issues of poverty at the SESC Poverty Institute. 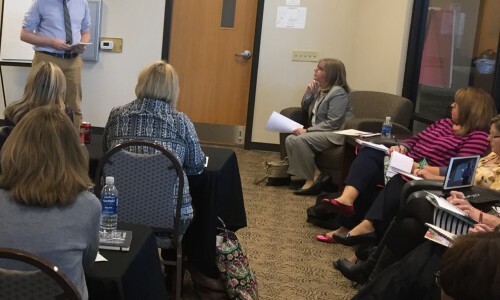 Dr. Shannon Deaton of the University of the Cumberlands speaks to an attentive group on active learning strategies for the classroom. 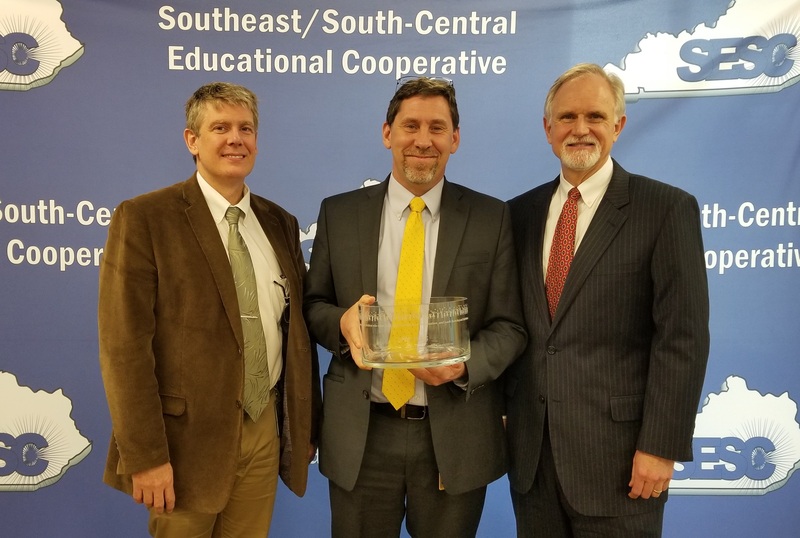 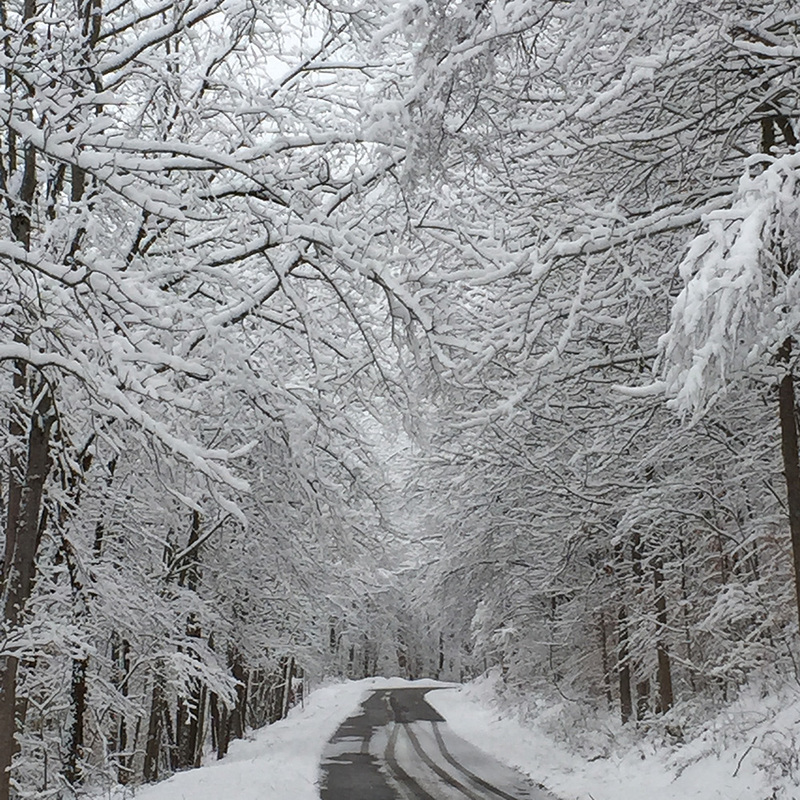 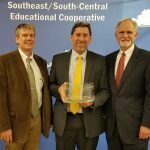 The university, located in Williamsburg, KY, is a higher education member of Southeast/South-Central Educational Cooperative.